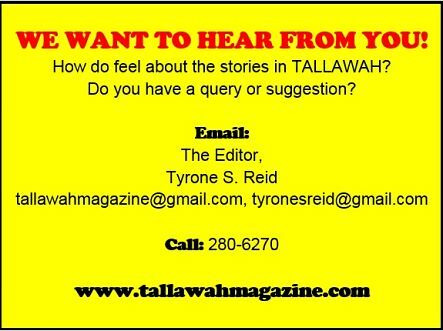 TALLAWAH Magazine: The Best of Jamaican Culture: @THEDISH: David Tulloch on the Sugar Daddy factor + Dalton Harris brings his A-game to the X Factor + Is Damion Crawford the future of the PNP? @THEDISH: David Tulloch on the Sugar Daddy factor + Dalton Harris brings his A-game to the X Factor + Is Damion Crawford the future of the PNP? 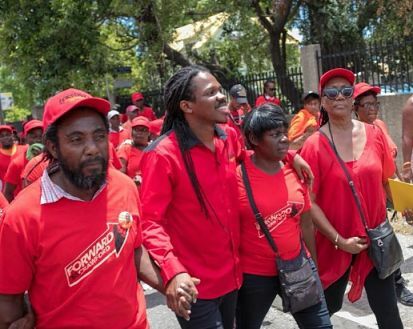 Could Dr. Peter Phillips and Damion Crawford become a new Obama and Biden? The newly elected PNP Vice-President thinks so. “I believe that within the party I am the greatest complement to Peter Phillips, and the PNP has always ran with a complement. When they claimed Portia wasn’t smart, Phillips was her complement. And now they are claiming that Phillips is an old person. I think I am that complement,” Crawford told reporters at the PNP’s 80th conference inside the National Arena on Sunday. Crawford (now in his late 30s) is also firm in his belief that he is an asset to the People’s National Party as he now looks to solidify his place in the top brass. “I think I have national connections that are sure to support me. The younger voters are sure to support me. The assumption that I didn’t have a constituency is flawed,” he says. “Every individual has to look at themselves and ask what more can I do? How can I be more effective and efficient? I believe that I have been one of those who have been gaining attention for the party.” Of the four VPs (Crawford, McNeill, Phillips the younger and Paulwell) installed on Sunday, Crawford received the most votes (1,973) from the delegates. 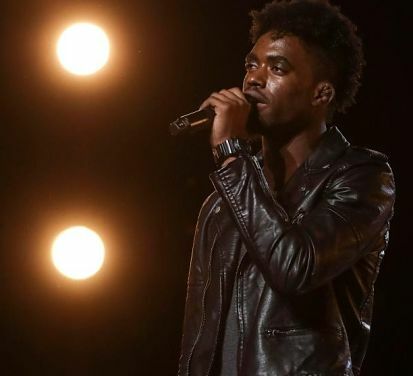 “It was a little intimidating, but I just had to keep all of that inside and just concentrate on giving the best performance,” says Jamaican singing sensation Dalton Harris, who is earning raves for his knockout rendition of “Sorry Seem to Be the Hardest Word” on the UK’s X Factor before a live audience of 6,500 persons. They responded with a standing ovation. After drying his tears, Harris received four ‘yeses’ from the judging panel (including Simon Cowell! ), progressing to the next round of the competition. According to Harris, he was overcome with emotions, hence the tears. “I was just overwhelmed,” he told the Jamaica Observer. “It was more like a sense of triumph after all my hard work.” So what is his game plan for the next round and beyond? “I am just going out there to do my best,” says the 24-year-old who tapes in London. “I have no expectations. I’m just gonna do my best.” We wish him all the very best!